People who are wheelchair users must be very aware of skin breakdown. Skin breakdown or a Pressure Soar can occur for people that are wheelchair users. A wheelchair user with spinal cord injury is susceptible to having a pressure soar due to lack of sensation in the lower extremities of their body. Also, that a deflated seat cushion on a wheelchair can be the cause of a pressure soar. Pressure soars can be fatal if not treated properly. Please make sure to keep lower extremities dry this can prevent skin breakdown/pressure soar issues. Before you visit any clinic for skin doctor, it is advisable to have an idea about the skin clinic and doctor working in that clinic. This will ensure you of the best treatment for your skin related issue. Fear or anxiety during your initial consultation with the skin doctor is quite normal. To get the best solution for your skin related issue, you should get rid of all discomfort and openly discuss regarding your skin problem with the skin doctor. Skin doctor will ask certain questions and examine the affected area to get an idea about your skin issue. Sometimes, you may be asked to undergo certain types of skin tests. In this way, the doctor will diagnose your problem and will determine the course of treatment best suitable for you. 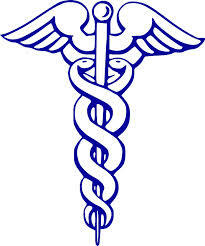 A person’s medical health is taken into consideration. The way, a patient’s body reacts to prescribed medicines or treatment is taken into consideration. This gives an idea to the skin doctor whether the prescribed medicines or treatment provided to the patient should be further continued or not. Some patients may be required to avoid certain types of food products and make certain changes in their lifestyle to avoid skin problems. It happens in several cases, that one visit to the skin doctor is not enough. After your initial consultation with the skin doctor, you should go ahead and schedule a follow-up appointment. With follow-up visits, your skin condition would be judged by the skin doctor. Based on the severity or complications of your skin condition, multiple appointments may be required. Each one of us might react differently to a skin problem or allergy. For instance, it is not necessary that what worked for the other person might work for you as well. It is advisable to consult a professional skin care expert when it comes to getting treatment for skin related problems. Skin specialists are the right professionals who will help you to find the best skin care product suitable for your skin type. They will identify your skin type, allergies and eventually provide you with well formulated skin products that will solve your skin related problem. If you notice any type of skin rash or infection, then it is advisable to approach a professional skin specialist as early as possible. Delaying it will simply aggravate your skin related problem. Thus, no matter what type of skin related problem you are facing please consult your physician. With swimming and people with disabilities being active this is always good to remember about the importance of taking care of your skin by keeping it dry. Very nice blog. I suggest Dr. Divya’s Skin and Hair Solutions. Skin and Hair Solutions has been conceived and developed by one of the best dermatologist in Whitefield , Bangalore Dr Divya Sharma, MD. The aim is to provide comprehensive solution and excellence in dermatology, pediatric dermatology and trichology in the fast dwindling art of practising genuine Dermatology.